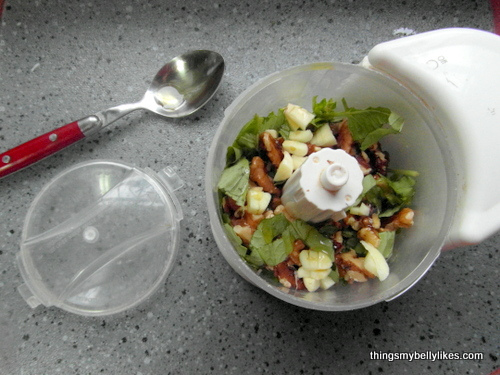 Using a small food processor, blend together the walnuts, basil, oil and garlic until a chunky paste. 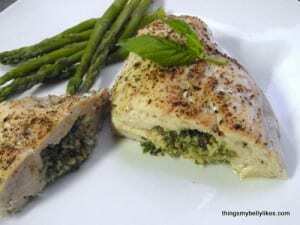 Carefully butterfly each chicken breast (make a slit through the meat then fold it open like a book). Cover with clingfilm and beat with a heavy object until the breast is somewhat flattened. Put a tbsp of pesto in each breast, lining it along the ‘seam’ and then rolling over the top part like a flap. 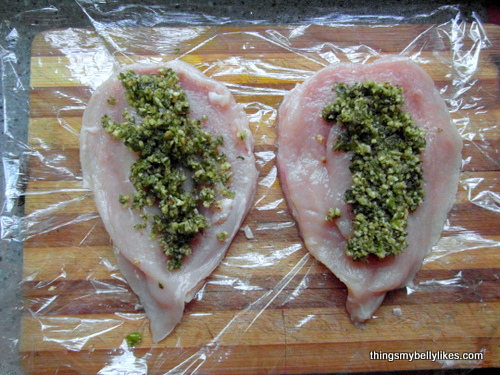 Make sure the chicken seals over the pesto and there’s none poking out. Season the chicken well, sprinkle over the rosemary and bake at 375 for 30-35 minutes. Combine all ingredients in a mixing bowl and use your hand to mash and incorporate. Roll into golf-size balls and flatten slightly. 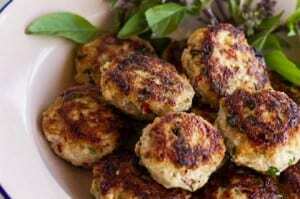 Heat coconut oil to sizzling hot and cook chicken cakes on medium heat for 5–7 minutes on each side. Serve with fresh cucumber, Thai basil and a spicy dipping sauce on the side.